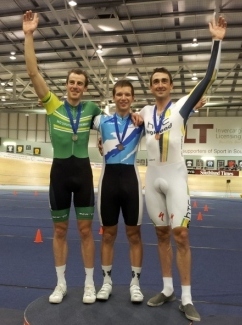 Leading after three third placings on the first night, the 20 year old Gate enjoyed two second placings and won the final 1000m time trial at the ILT Velodrome tonight. Gate finished four points clear of Beijing Olympic medallists Marc Ryan and Hayden Roulston, with former world junior track champion Cameron Karwowski fourth and world omnium silver medallist Shane Archbold fifth. 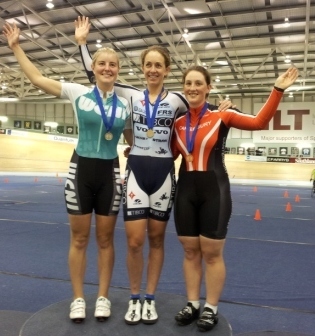 The women’s championship was dominated by Canterbury professional Joanne Kiesanowski who won all three events tonight – the 3000m individual pursuit, 10km scratch race and 500m time trial. The Team TIBCO rider was in dominant form over the two nights, finishing clear of fellow world championship teammate Gemma Dudley (Levin) and fellow Cantabrian Liz Steel, who was fourth in the omnium at the junior world championships recently. Gate scored three personal bests on his way to victory and was delighted at his form so soon after returning from a six-month road racing campaign with the BikeNZ under-23 squad in Europe. “It takes a bit to adjust back to the track although you can simulate it on the erg. It’s takes a bit to get the feel of the track again,” Gate said. “I am thrilled to get my first individual national title and really pleased to get three big personal bests in the timed events. BikeNZ High Performance Director, Mark Elliott said the two day omnium proved an ideal early season test of the country’s leading riders. “We wanted to get some information on where our riders are at in terms of short and long term power, and their overall fitness. As a fact finding exercise it has been excellent and now we will be evaluating and letting riders know what they need to work on in the next month leading to the Oceania Championships. The men complete their camp this week with the endurance women’s squad and sprinters coming in for testing over the next week.